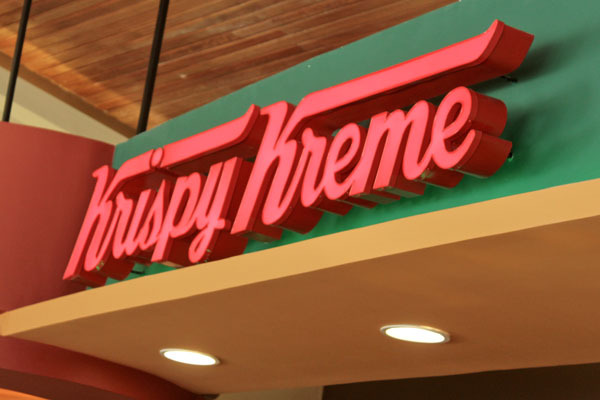 Krispy Kreme just painted the Town red--err--green (and with sugar!) 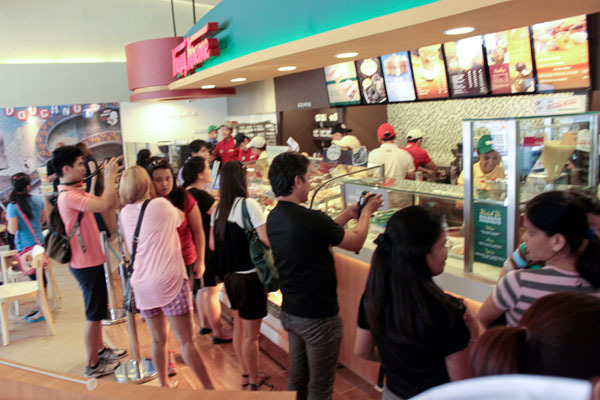 when they opened their first branch in Alabang in celebration of their 75th year anniversary. It was an afternoon filled with sweet doughnuts and sweet people. I was contacted by Ana the same morning about this event and I luckily live around the area so I was game to go. 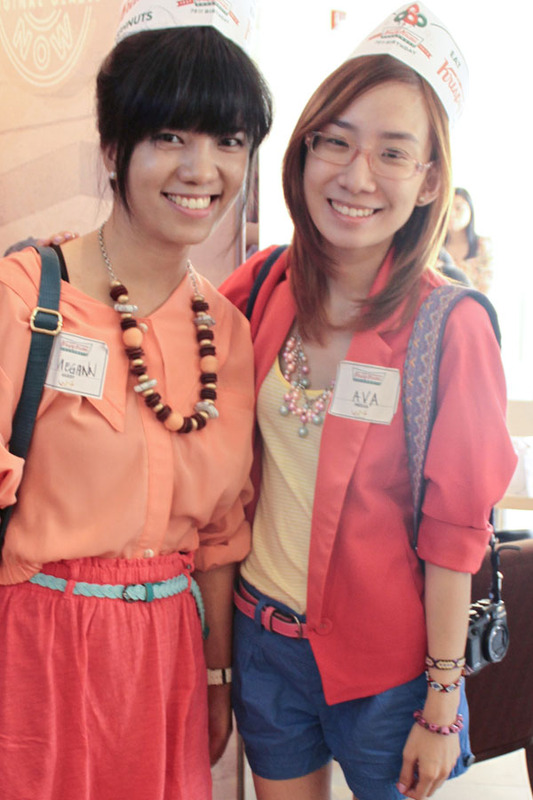 Hooray for south people and rare bloggers events in the south! I may not have the case of the sweet tooth often, but I do enjoy indulging in Krispy Kreme's original glazed doughnuts every once in a while. 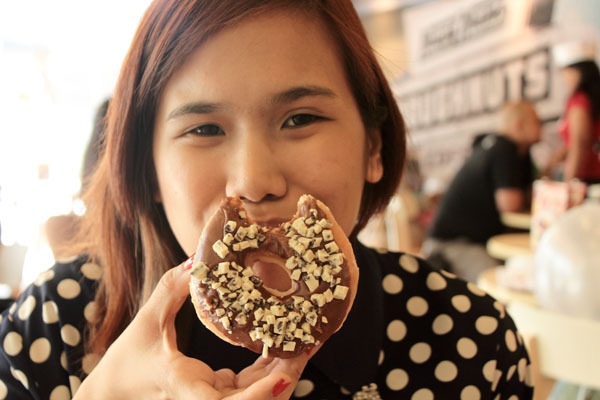 And the fact that I got to design my own doughnut made this experience even more fun. Ava and I are forever twins! For a sweet event like this, it was only right that we dressed in sweet colors! Summer is here! 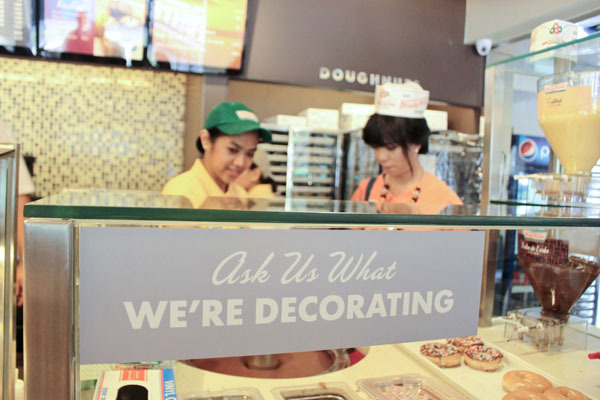 Ana and I decided to stay for a while and enjoy the scent of freshly baked doughnuts and heated caramel icing/dip. 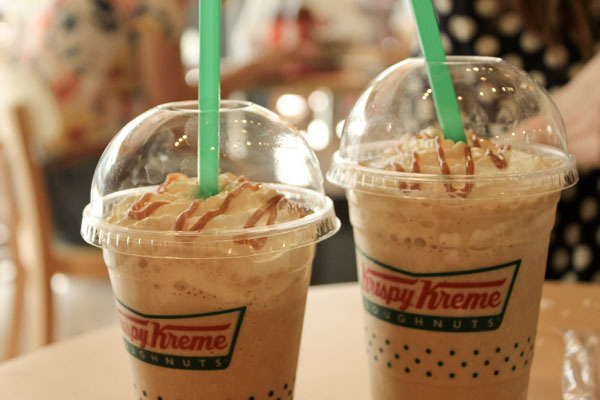 We were also served with these yummy Krispy Kreme Pull Aparts--which was exactly what we needed to take a break from the sugar intake. Wow, that sounded like a line from a bad rap song. 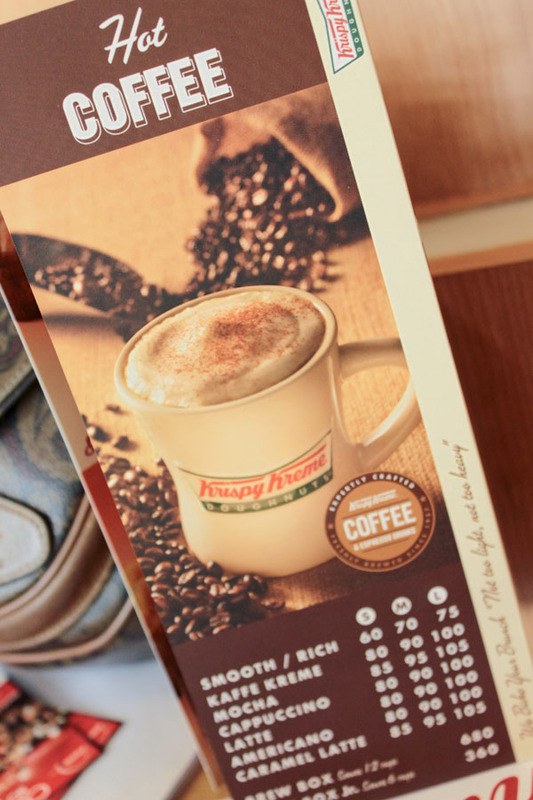 Of course, the Krispy Kreme afternoon wouldn't have been complete without their coffee to compliment the snacks. 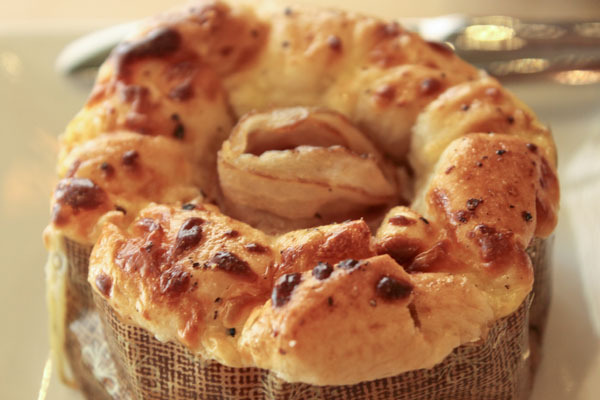 You can have these served either hot or cold. Ana and I got the Caramel Latte cold--perfect for summer! I'm so glad that Alabang Town Center is really expanding in terms of store variety, without losing its signature chill vibe.